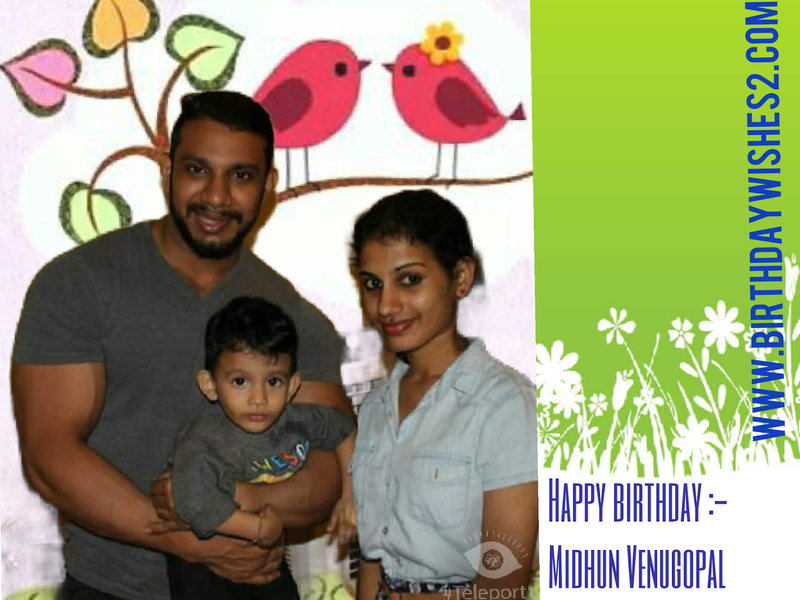 Happy birthday Dear Midhun Venugopal - birthdaywishes2- Birthday wishes sms,birthday wishes images,,special birthday. Degree from KV Usthad Memmorial Dharul Hidaya Arts and Science college. His high school from DHOHSS Pookkarathara. He is living sharjah. Rasmy Midhu is his wife. Home town Calicut. Politically communist. On of the family member. 1988 SSeptember 24th is his birthday.